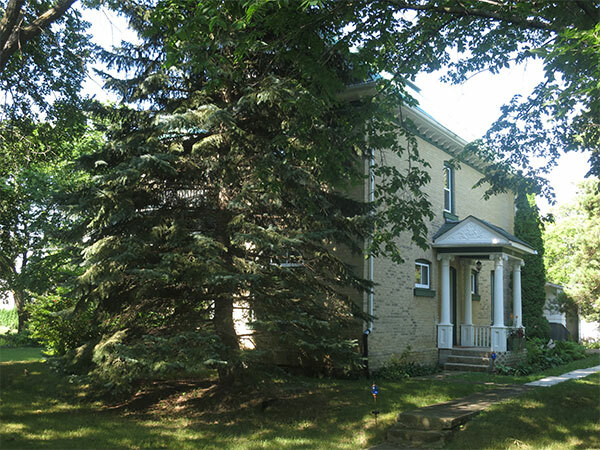 This house in Gladstone, in the Municipality of WestLake-Gladstone, was built in 1904 for real estate agent T. E. Nichols. He went bankrupt before the house was completed so the work was done by Dr. E. W. Rose. Historical Buildings of Gladstone, Self Guided Tour, Gladstone: Gladstone Theatre Courtyard, 2007.